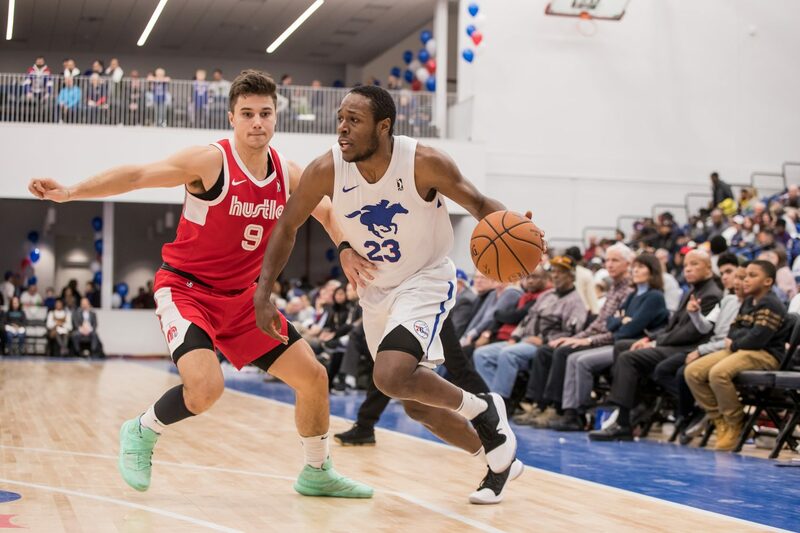 With the likes of 76ers General Manager Elton Brand and Philadelphia legend Bernard Hopkins on hand, the Delaware Blue Coats hit the hardwood for the first time at the team’s new home, 76ers Fieldhouse. 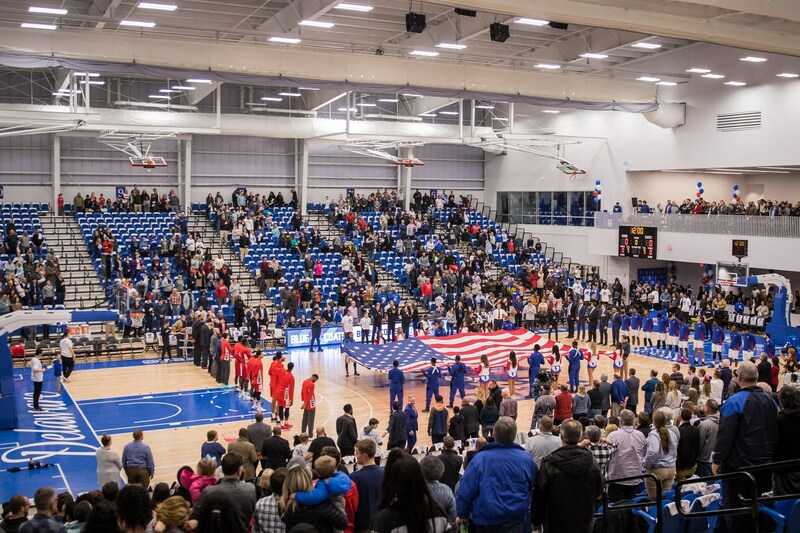 The Delaware Blue Coats and their fans get set for the team's debut at 76ers Fieldhouse. 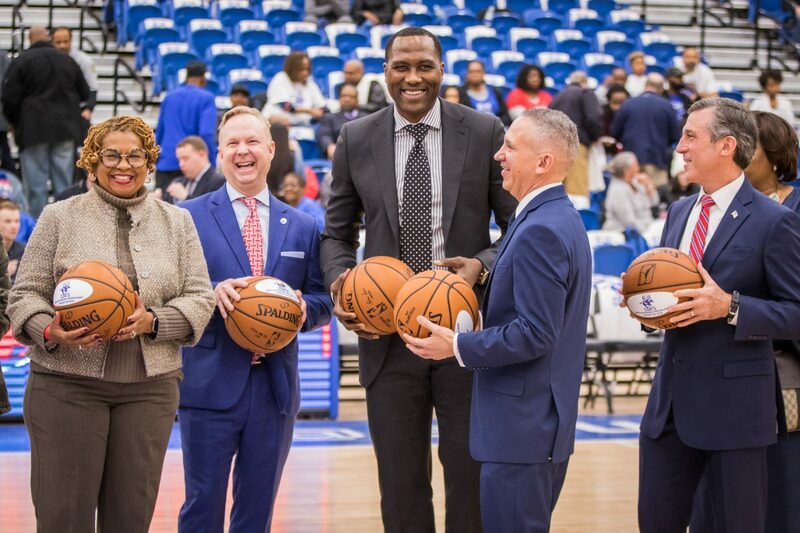 76ers General Manager Elton Brand, who worked in the Delaware front office last season, was on hand at 76ers Fieldhouse alongside other Sixers execs. 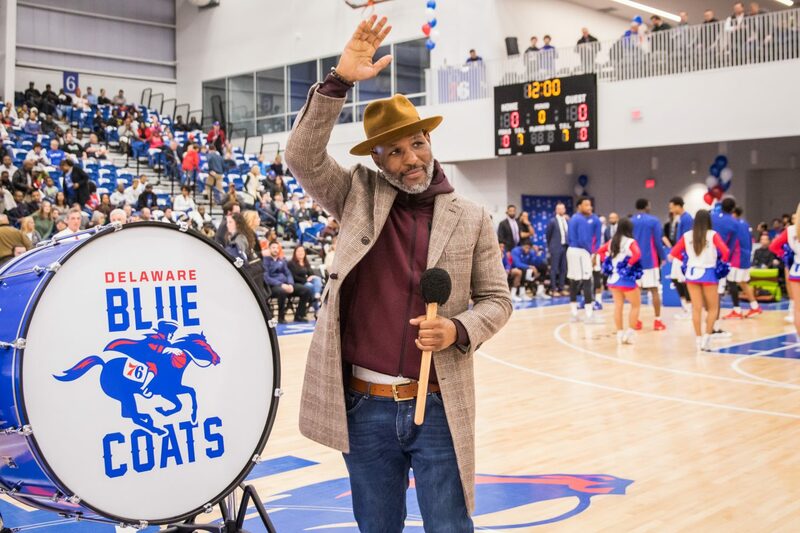 Philadelphia legend Bernard Hopkins made an appearance to support the Blue Coats. 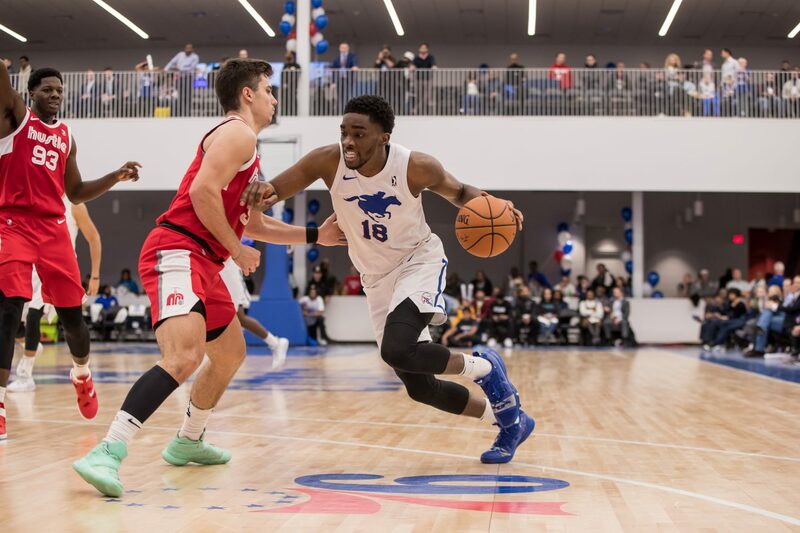 76ers / Blue Coats Two-Way Player Shake Milton takes the floor at 76ers Fieldhouse for the first time. 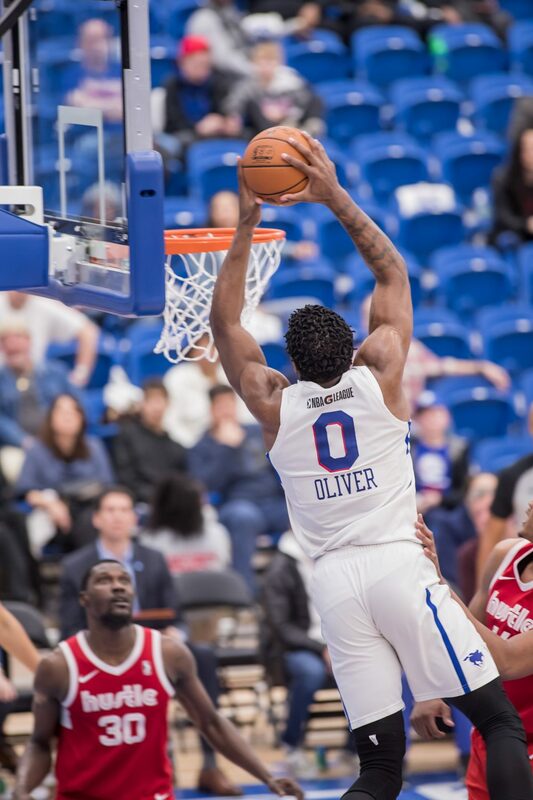 A constant double-double threat, Cameron Oliver tallied 11 points and 14 rebounds in Delaware's defeat. 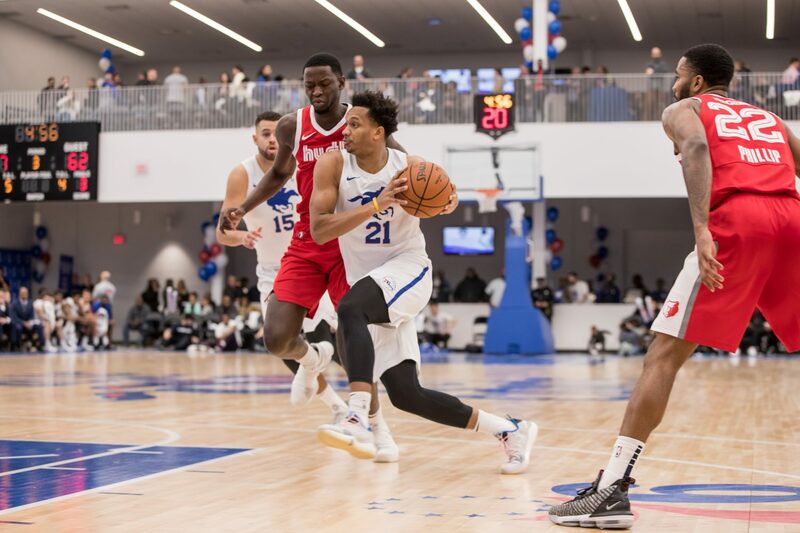 Blue Coats guard Rashad Vaughn scored 16 points despite his team's losing effort. 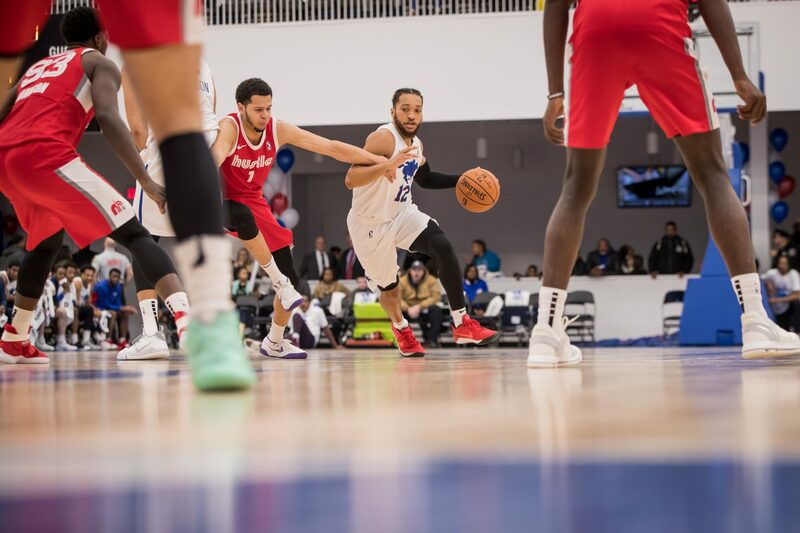 Jared Brownridge of the Delaware Blue Coats drives to the hoop. 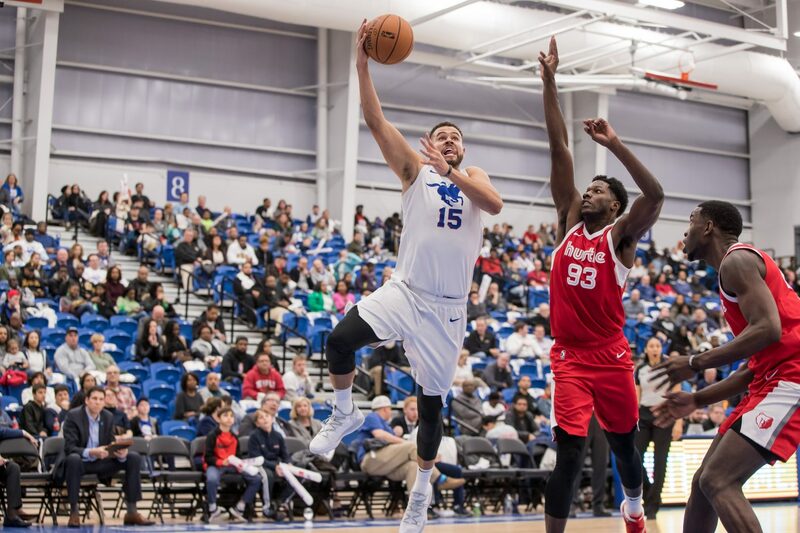 Ryan Anderson of the Delaware Blue Coats rises up for the hook shot. Kyle Randall of the Blue Coats looks to defeat his defender to the basket.